Lili Alessandra Casablanca with Accents of Slate Bedding - Swatches may be available. 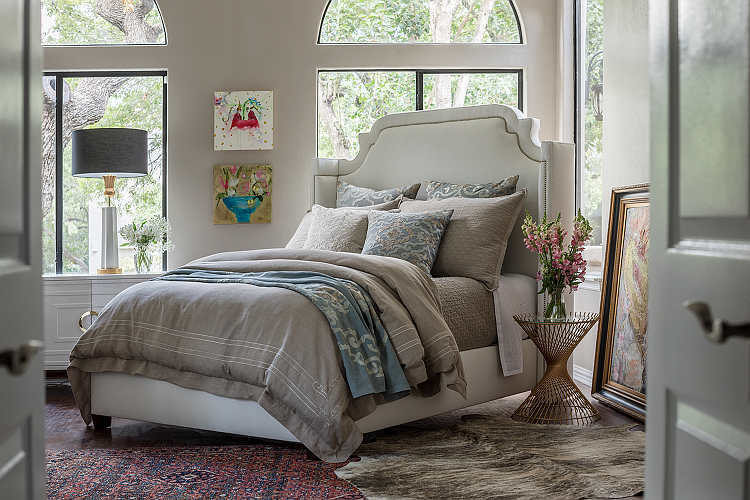 Stone Linen with Stone Linen Applique Casablanca duvet is paired with assorted Valencia pillows to create an engaging contrast that will please any connoisseur of fine decorating. Valencia throws add an engaging visual extravaganza. 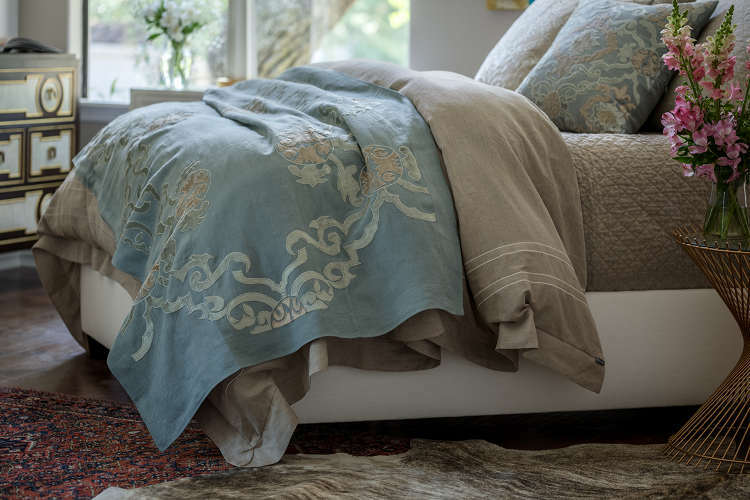 Emily Coverlet and Casablanca Tailored Bed Skirt add a finishing touch. Each piece may be ordered separately or together on DefiningElegance.com easy shop system. This luxury collection is machine washable. The three-panel bedskirt fits Queen and King size beds. Decorative pillow prices include 95/5 down filled inserts.